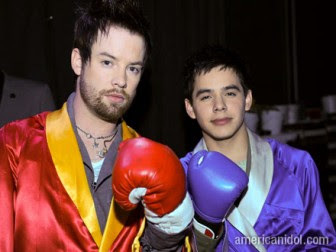 American Idol season 7 finalists David Cook and David Archuleta will be performing live for their Filipino audience for the very first time! Mall of Asia Concert Grounds, SM Mall of Asia, Pasay City. For ticket reservations and seating charts, click here (Ticketworld) or here (Ticketnet). You can call Ticketnet at (+632) 911-5555, or TicketWorld at (+632) 891-9999. The two American idols, back-to-back! Hi guys! Can't wait for their concert in MOA. Do drop by at my blog for free download of their albums and more. See you there.